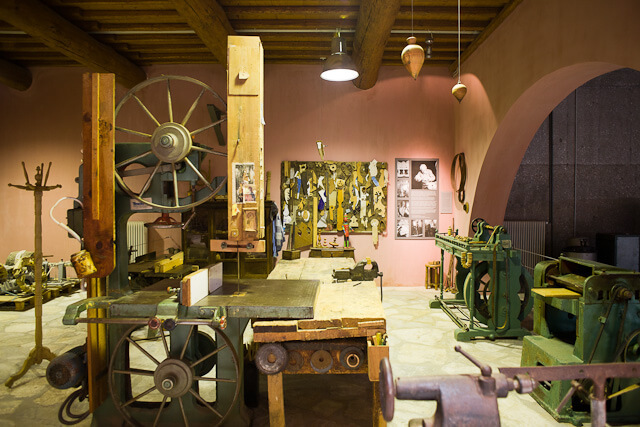 Pelekanos’ workshop – preserving the past on a Greek Island. Hong Kong? Aliki Tsoukala has very kindly sent me information about Michalis Pelekanos (1926-2010). Mr Palekanos worked at the Kornilaki’s tannery, Ermoupolis, Syros Island, Greece for 66 years. After his retirement as a tanner he continued working as a carpenter until the end of his life. Aliki and a team of volunteers are to be congratulated for putting together a Reconstruction of the Woodworking shop of Michalis Pelekanos. She says this was made possible with the voluntary work of many enthusiasts. A lot of young people helped, putting in their time, effort and talent just for the love of the project. 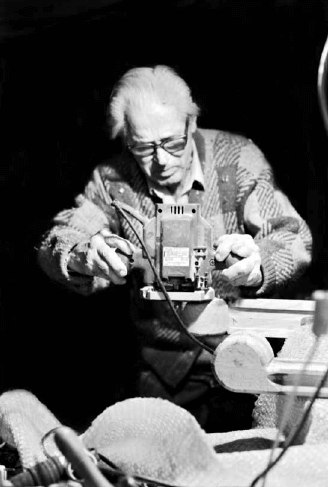 His work tables, tools (some of which he made himself) and a range of objects he made during a career lasting over 60 years are included. You can see the exhibition in the photos below. Hugh Farmer: I am currently on Syros Island. I was fortunate to meet Mr Pelekanos, but only once, about sixteen years ago when I wanted some special wooden dowels made and was pointed in his direction. I had found the right man! 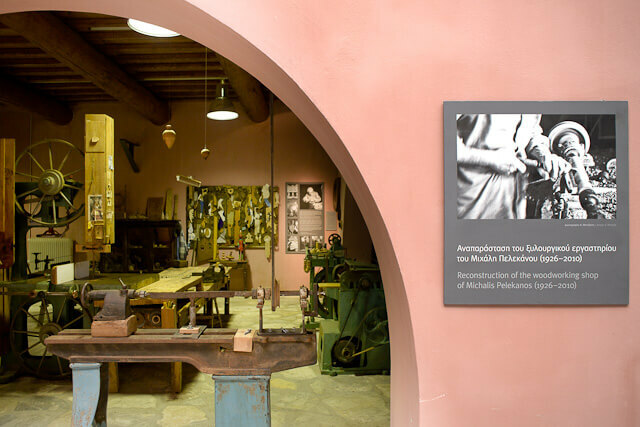 As I have said before if a small Greek island can have its own Industrial History Museum and a permanent exhibition of the life and work of a tanner and carpenter shouldn’t Hong Kong be able to organise something similar? Michalis Pelekanos: As a carpenter I have worked since I was a 6 year old child. 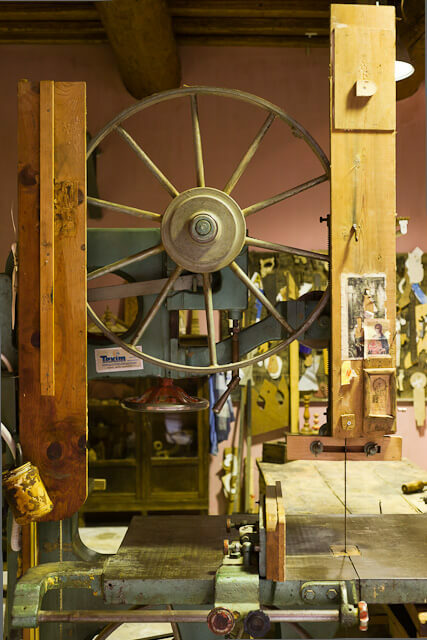 Until I was 18 years I worked at wood workshops, more precisely at woodturning shops and at Mr. Romanos, who was my godfather […] but I worked also at Mr Foskolos, who had one of the best furniture workshops, not only among the Greek ones, but I can tell you internationally. He was a very good carpenter. That’s why all the furniture made by Foskolos lasted, it was something traditional. It doesn’t exist, so to say, in its art something better. He was such a great craftsman, if he found the smallest error he destroyed it and made a new one. […] I continued to work. On one hand I was tanner, my father took me in here when I was 18 years old, he was a technician here and little by little I too became a technician in the tannery. But, because I had a family, I had three children, eh, I continued. I had a small workshop and on the evening when I got off work from the tannery, I used to strive with this work [of the carpenter] which I continue till today. […] But, alas! Alas! Nobody wants to learn any more! I am, as is said, the last of the Mohicans. […] Unfortunately, people do not learn any art nowadays. Letters! Letters! Letters! Everybody letters, everybody! Whereas to practice an art is a very good job. You will never go hungry. In old times, they used to say, learn an art and leave it and when you need it take it. Myself, now, I was a technician in the tannery, I even became the boss as a tanner, at 65 I left, took my pension. Now, you see, this art I had learned it. Do you see the nice things I make? On one hand you earn a living and on the other, you sit here and you have something to do, you do not sit idling at the cafes. To have an art is something special. […] I was born in an area named Neapoli and around there from Agio Panteleimona and Kaminia, only one person finished the high school, of my age. Only one finished it, because the fees were 500 drachmas. I was the best student in the primary school till I finished it. But my father could not subscribe me, because he had not the means. And the teacher, his name was Mr. Balas, found him and told him: how are you not going to send to high school Michalis? And my father replied, you know I have no money, how it will be done? Michalis works and brings some money home….how will we send him to school? I tell you, from a whole area, around 2000 people lived there and the high school was finished only by one. […] it was very difficult in those times. Excerpts from a recorded interview to Maria Mavroeidi on 17/12/1999. Amended by Hugh Farmer.